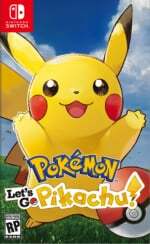 Pokémon’s stat system has been the same since 2002, with monsters gaining EVs in combat which are then used to determine a power boost which scales based on the Pokémon’s level. 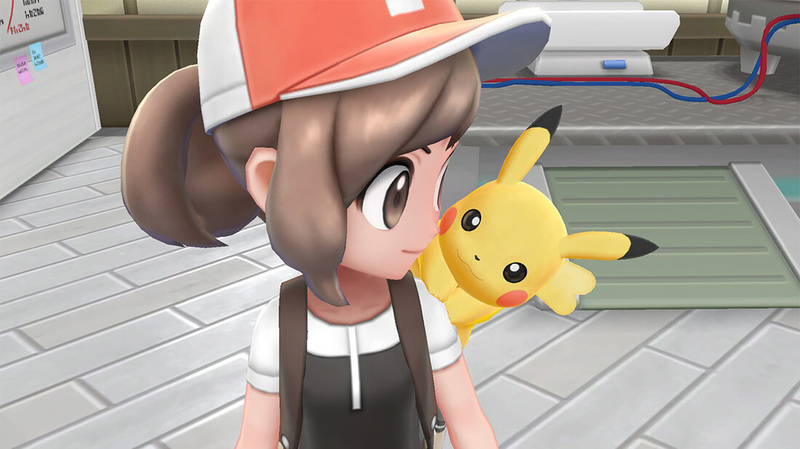 With Pokémon Let’s Go, Pikachu & Let’s Go, Eevee having no 'wild' and randomised combat, the system has changed once again and is now a bit more in-line with the setup seen in the first few games. Now, the stats do not scale. This new system is what the fan community is calling AVs (Awakening Values). So what are AVs? Basically, for each stat, you can have 200 AVs and each AV is equal to 1 Stat Point regardless of level. 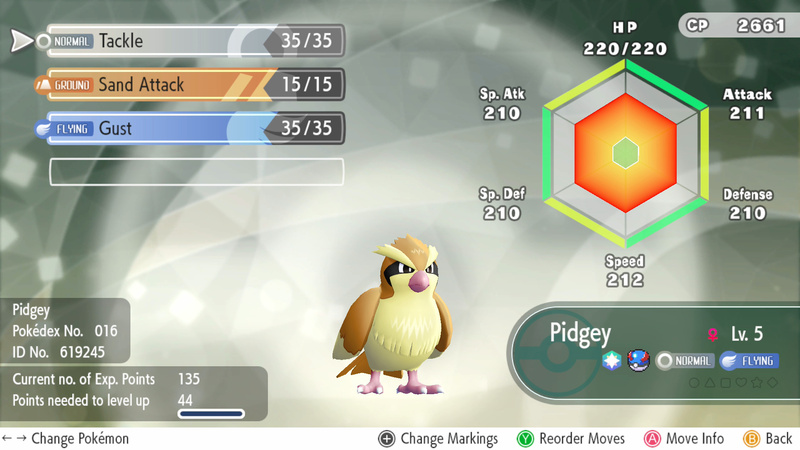 That’s right; you can have an obscenely powerful Level 5 Pidgey if you max out its AVs while it's at a low level. This means you don’t have to get a Pokémon to Level 100 to make it completely viable, especially to face Master Trainers. So, how do you get AVs on your Pokémon? The first method is by levelling up; with each level up you will gain 1 random AV. The second is by using Candy. Candy is the major new mechanic and there are 6 different candy kinds, one for each stat, with a Large and Extra Large variant. Each of the sizes of Candy can take you up to a specific AV value. Regular Candy can boost your stat to 50 AVs, Large to 100 AVs and Extra Large goes all the way up to 200 AVs – but there’s a catch. You can only use Large Candy on Pokémon over Level 30 and Extra Large on those over Level 60, which does act as a limit. In addition to this, the amount of Candy required to get 1 AV increases as you approach the cap. This means to max a stat using all 3 Candy, you’d require 1,039 Candy per stat, a total of 6,234 Candy; that's a lot of Candy. However, if you just use the higher size Candy, this decreases considerably as you’d only need 545 per stat. Let's show that in a handy table, shall we? There is another option, as well. Each Pokémon evolution line and single Pokémon have their own special Candy, such as Caterpie Candy, Meltan Candy and so on. This Candy will give +1 boost to each stat, regardless of level, for each Candy, meaning you’d only need 200 Pidgey Candy to boost every stat to maximum regardless of the level. So how do you get all this wonderful Candy? The simplest answer is to catch Pokémon. As you catch more and more Pokémon, you’ll get better rewards and most of those rewards are – you guessed it – Candy. Each Pokémon will give specific Candy, such as Metapod giving Tough Candy, as well as the species-specific Candy. If you get into a Catch Combo of 100 on the particular species, you’re likely to have enough Candy to max the Pokémon out. However, for some Pokémon – like Legendary and Mythical Pokémon – you can’t do this. So, in order to get their species Candy, you should play with the Pokémon in your Poké Ball Plus as this is the best way to get the species specific Candy. AVs cannot be reset. You can only add to them, not remove, which can be problematic if you’re trying to go for specific Attack and/or Speed stats. Still, with the ability to max these out, battles are certainly going to take a different turn; just ask the fools who have faced off against our fearsome Pidgey. I'll take this over the other stat systems. Didn't know there was species candy for each monster...good to know. Also Joe, thank you as always for your website. I am no longer into pokemon that seriously (although let's go is turning me into a pokemon obsessed kid again) but I think I would have broken a DS or 3DS over the years without your work. @Ryu_Niiyama I agree that it is simpler to understand (IV's and EV's aren't exactly an easy system for their 'key demographic' to understand) but the grinding for all that candy must be unreal. IV's and EV's at least mean that my Pidgey feels different from their Pidgey, not all Pidgeys should be the same. To say nothing of a certain Rattata. @bluemujika The catch system doesn't really feel like grinding though. Stomping through tall grass ala the old system ...that was always grindy to me (and part of the reason I abandoned Pokemon seriously after G/S). with the catch combos its kinda fun...so long as some rare shiny doesn't lure you in. @bluemujika @Ryu_Niiyama I vastly prefer this system, and I think we'll at least see the same encounter system used in next year's game, even if the PGO-style catching mechanics are removed. Sure, the whole Candy thing is grindy, but then all games in the series have had some grinding (that sounds really rude). I also massively prefer being able to avoid encounters if I want to; takes the annoyance out of the random battles as well. An OP Pidgey? ... Does that mean all pokemon are viable?? Thats... What I've always wanted... Holy cripes. Quoting the last paragraph: "You can only add to them, not remove, which can be problematic if you’re trying to go for specific Attack and/or Speed stats". This is no longer the case. With the old EV system you could only Max out two stats wheras you can Max out all six now. ...welp. Time to go make a magikarp a complete and utter tank. Nice. I just got that judgement Pokédex thing and my ivysaur has an “okay” rating. I’ll use candy to get him up with the rest of the team. So do people like this? Having all pokemon viable seems to be important, but just flattening out their stat points seems to be a poor way to do it. It seems like if every pokemon can have the same stats, then move lists need to become more varied and unique to the individual pokemon, perhaps with each having one unique signature move. I'd like a game of pokemon to be almost more like playing a card game ala Magic etc. Each pokemon in your party contributes to your "deck" and the evolutions simply give different, not better, strategies. This would eliminate the pointless grind system and would surely boost the competitive scene. Sure balance is difficult, but I hate to see everything made the same in the name of perfect balance. I mean, most of this doesn't mean much for me as I'm playing through with my young daughter. The only time we've messed with candy is because she gets excited for the species specific candy and the time we boosted her Vulpix's speed over the Gyarados I was using just because she wanted to attack before me. But I've always despised the stat system in previous Pokemon. Well I certainly seem to have been out-voted on this. FINALLY a guide on NintendoLife that is worth calling a guide. Excellent article. @bluemujika better than breeding and hatching trillions of egs to get the perfect IV + character pokemon just to grind specific pokemon for AV. Let's Go opend up a easy way for us normie fans to get some beefy pokemon without wasting our life away. This was an incredible reading. It's good to see a pro who knows his stuff. Thank you again, NintendoLife. This explains why I keep following this community since 2010. Love this thing. @AG_Awesome Don't. You'll soon get an amazing one. @janpampoen Is the bulba the person gives you better than the ones you can catch at viridian forest? Dang got my mine need to powerup. Is that just for pidgey only? Where do you judge pokémon? What's the benefit of doing a chain of captures of the same pokémon? @RodSD64 The higher your catch combo for a Pokemon, the better IV's it's likely to have and the higher chance it has of being shiny, until it caps off at a 31 combo. That's the point where at least 4 IV's are always perfect and the shiny chance is better than 1:400. (I forget the exact number, and it's even better with shiny charm + lures) Not to mention the catch bonus for higher combos increases, meaning more candy and items. It also increases your likelyhood of finding rarer spawns, I think. They might cancel the more mainline Pokemon titles if this continues to sell well. "play with the Pokémon in your Poké Ball Plus as this is the best way to get the species specific Candy"